At eSquared Asphalt Maintenance, our professionals work diligently to provide professional, complete completion of your project with no hassle to you and no strain on your wallet. Our technicians will work with you to provide the best workmanship possible and go over all possible options and outcomes. Whether you need parking lot maintenance in China Spring, TX, or you need your back patio restored, our team has you covered. Contact us at 254-716-8685 to schedule your consultation. Our technicians are experienced and knowledgeable in all aspects of concrete striping in China Spring, TX including local and state guidelines and codes. We offer advice on material and product options such as cost, performance, and lifespan, and provide professional painting that’s smooth and flawless. Our experts are trained in all EPA and ADA codes and guidelines to make sure that your job is always completed within compliance. Handicap Striping Don’t get fined by the ADA. Let our professionals provide flawless, accurately measured handicap striping. Handicap Logo Painting For reliable handicap logo painting that seals cracks, peeling, and fading, contact our professionals to help. 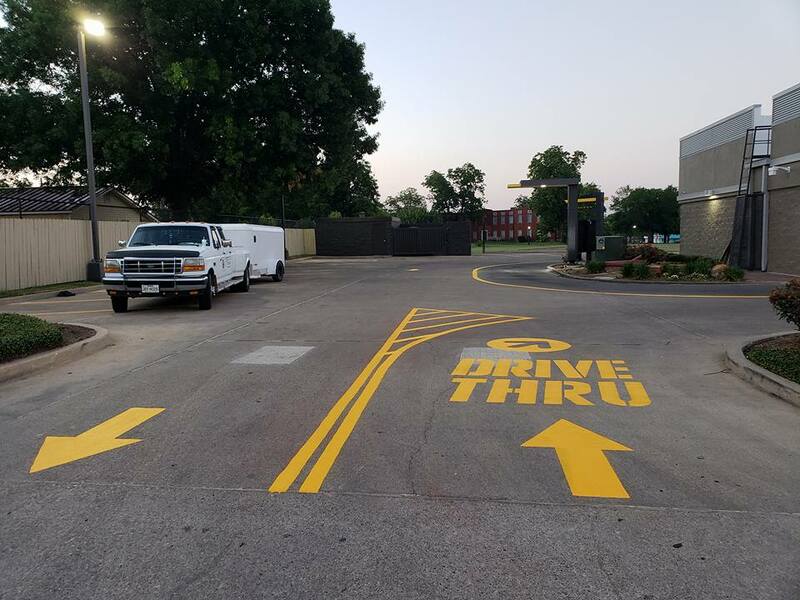 Road Striping Our professionals are knowledgeable in types of road striping, from temporary construction lining to permanent road lining. Warehouse Striping Improve the look and safety of your space by striping functional lanes, loading areas, and more. 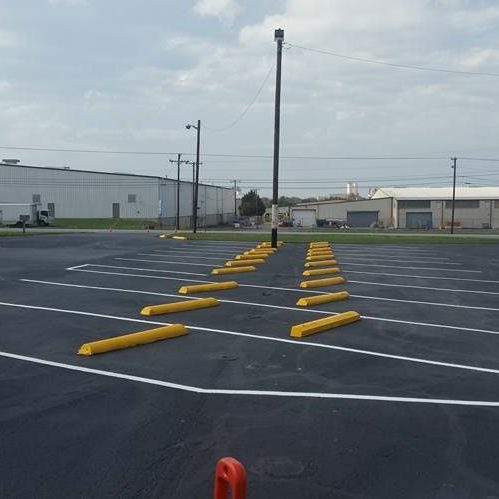 Reflective Parking Lot Paint Learn how reflective paint can provide extra protection at night and in the rain and whether it will benefit your business. Our professionals can provide pressure washing services for all of your residential or commercial structures including breakable materials like wood and vinylwithout making marks or spray patterns. Our experts can remove all dirt, grime, and even paint from your surface while not damaging the underneath. Our team can remove contaminants and debris that causes breakdown to reveal healthier material that lasts longer. For commercial or residential pressure washing in China Spring, TX, turn to the team you can trust. Call 254-716-8685 to learn more about our pressure washing services and benefits. Code Compliant Pressure Washing Don’t fall victim to non-compliant pressure washing procedures. Our team observes and follows all EPA standards. Driveway Pressure Washing Keep your driveway looking great longer with our driveway pressure washing service. Mold, Mildew, and Dirt Removal Learn how our experts completely remove mold, mildew, and algae from your exterior walls and surfaces. Restaurant Pressure Washing Stay in compliance and patron friendly with complete pressure washing from the front to the back, and everything in between. Concrete Stain and Gum Removal Put your best foot forward with your patrons using our parking lot and sidewalk stain and gum removal service. Our professionals can deliver expert installation, repair, and restoration of concrete constructs like driveways, walkways, and columns. Our professionals are also trained to deliver completely personalized artistic finishes like decorative or stamped concrete. The eSquared Asphalt Maintenance cleaning and restorative techniques provide protection for any concrete construct from UV rays, water, and weather hazards. When you’re searching for concrete services around China Spring, TX, contact the experts at eSquared Asphalt Maintenance for impeccable workmanship that lasts. Concrete Walkway Installation Create a personalized look within your yard with a walkway that lasts for years. Concrete Bordering and Curbing Find out how our professionals can eliminate washout and soil erosion while providing a permanent customized border. Concrete Patio Pour & Install Service Create an elegant outdoor gathering space for your home with our concrete patio installation. Specialty & Decorative Concrete Company Discover our technicians can create a completely personalized look for your home with our specialty techniques. Concrete Waterproofing Service Our professional can shield your concrete from water that causes irreversible damage to your concrete by utilizing our waterproofing services. At eSquared Asphalt Maintenance we are able to offer other services for our clients besides concrete lining, concrete installation, and pressure washing. From window washing to gutter cleaning, our clients can come to us when they need other services besides asphalt and concrete services. To schedule an appointment for any of these service, feel free to call our office at 254-716-8685. No matter if you need additional services or concrete stiping in China Spring, TX, we are more than happy to help you! Construction Site Clean Up Does your construction site require professional clean up? Contact us today for help! Roof Gutter Clean Out Service Get your gutters cleaned out by a professional by calling eSquared Asphalt Maintenance. Window Washing Service Our team of experts can provide your home or business with incredible window washing services. Our experts work hard to create working relationships with the leading suppliers to offer you only top quality materials and unparalleled workmanship. Our seasoned experts can complete any concrete or asphalt work your home or business requires, including experienced parking lot maintenance, throughout China Spring, TX. When you’re looking for certified concrete professionals you can rely on, call the eSquared Asphalt Maintenance team at 254-716-8685 and arrange your consultation now. Updated on March 19, 2019 at 8:54 pm by eSquared Asphalt Maintenance.